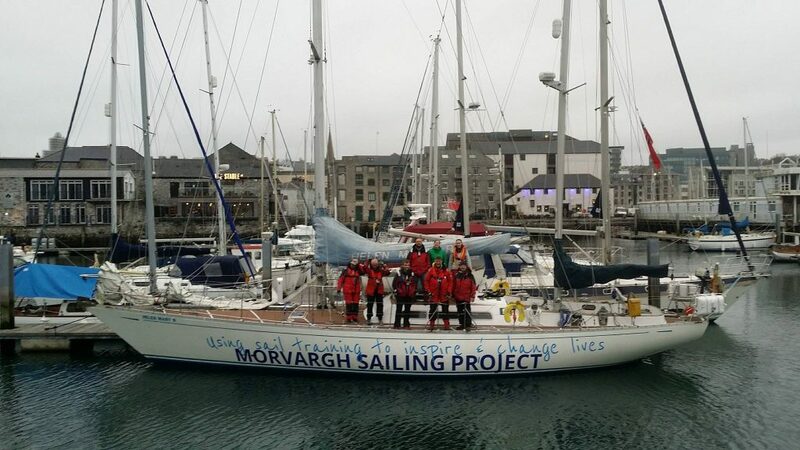 On the 2nd April, Mórvargh Sailing Project will be taking 8 teenagers on a 35 day voyage around Britain. I’ve been in touch with Matthew Barraud for a couple of years now and volunteered to crew as ‘Afterguard’ for as much of the trip as I can get time off work. 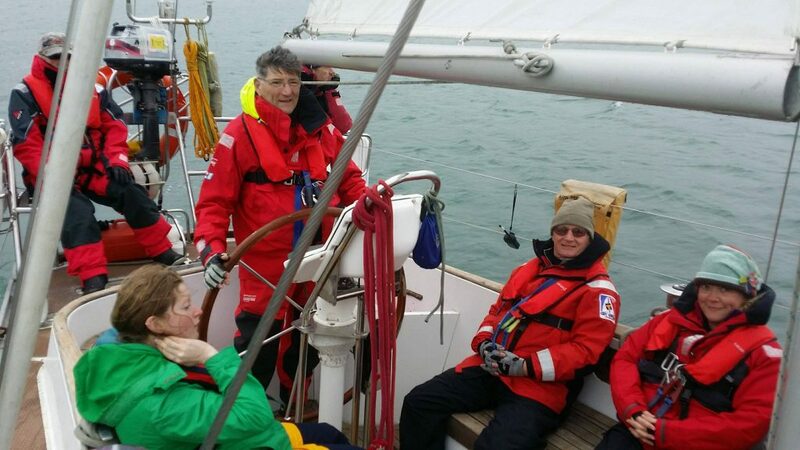 Last weekend, most of the Afterguard (the traditional name for the staff on a sail training vessel) gathered for the training weekend to cover boat systems, safety & sailing practice. Some 3 years ago, ‘Helen Mary R’ their 57 foot ketch re-submitted for her full coding and failed – the riggers couldn’t be sure how old the rigging was and condemned it. In an instant, the charity’s income stopped and Matt & Vicky started fundraising to raise the money. On the afternoon of Friday, as I arrived in Plymouth, the inspectors carried out their final checks – 3 hours later they signed her off. I’ve never witnessed it, but these inspectors know their stuff and the level of detail they go into is incredible. Just sitting and listening in, much was picked up as he discussed ways of accomplishing the same safety end goal. That Friday evening, we went over every inch of the boat starting at the bow. We covered all the basics for day to day living along with critical components such as through hull fittings, the engine of course, stern glands, electrics – the works. It took a good 2-3 hours and we hadn’t even ventured on deck yet. After a similar review upstairs the following morning, we prepared the headsails and slipped our lines from Plymouth Yacht Haven and made our way into the Sound. 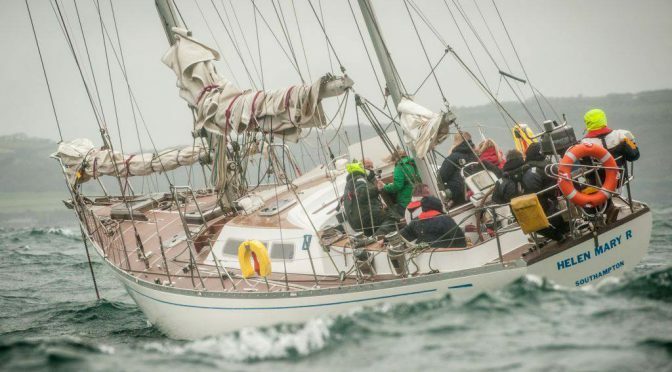 ‘Helen Mary R’ is a big yacht – a ketch in fact – everything is bigger and stronger. Things don’t happen as fast as on, say, a 40′ – but the forces are much greater. The winches are huge, the lines twice as thick with cleats instead of self tailers. In around 20 knots of wind we had her peaking at 9.2 knots and mostly coasting along at 8 knots. This was with just her mizzen and No.2 Yankee – no main. The following day we checked her log against ground speed both with and against tide and it was close enough to stand behinds those speeds. On Sunday, we practised man overboard drills under engines and sail several times. 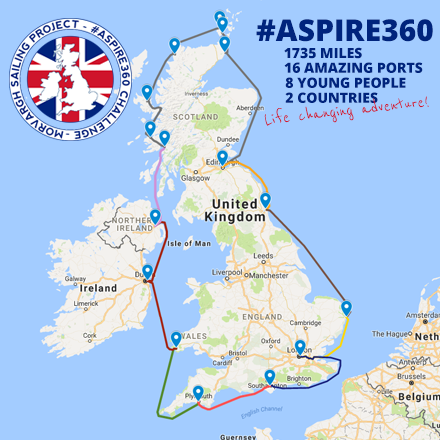 We spent a lot of time de-briefing between manoeuvres and at least an hour on the pontoon experimenting how we’d actually get the man back onboard when we sail round Britain. As always it seems the people make the sailing enjoyable. Take 8 people who mostly didn’t know each, throw them together and it’s not long before the banter starts. A great weekend – can’t wait for 2nd April.